LoneTear from EclipseClan. This is my name as a warrior cat that I thought up. 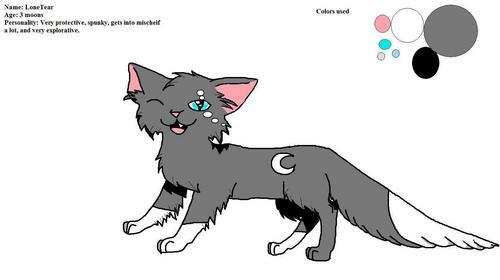 If I chose from the exsisting clans, I would be in ShadowClan.. HD Wallpaper and background images in the Make Your Own Warrior Cat! club tagged: cool me as a cat. This is my name as a warrior cat that I thought up. If I chose from the exsisting clans, I would be in ShadowClan. You can't be a warrior if you're only three moons old... That would make you a kit.